Close-up of a green iguana. calm and beautiful green iguana reptile portrait closeup at zoo. Close-up of a green iguana. 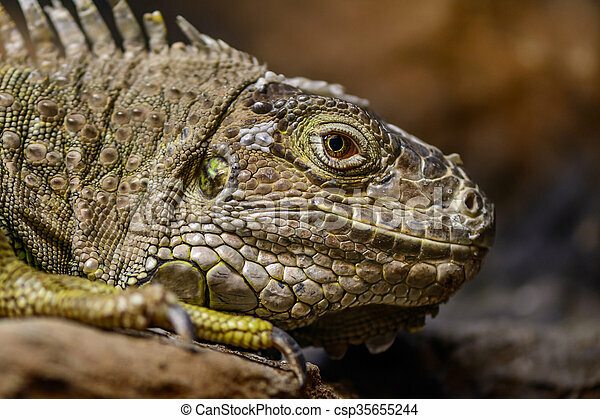 calm and beautiful green iguana reptile portrait closeup at zoo.